✔ PREMIUM US FDA APPROVED BPA-FREE SILICONE. 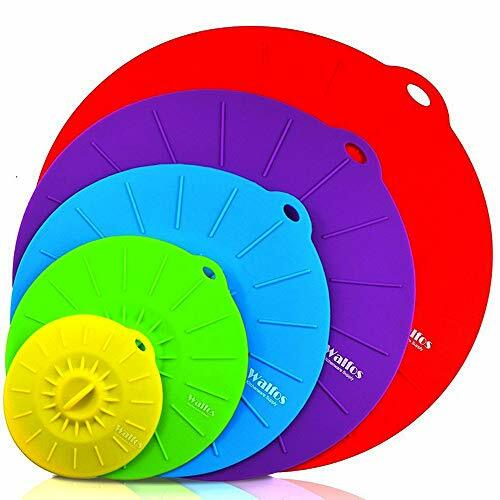 - Our silicone lids are made of Food Grade , no odor ,BPA Free high quality platinum silicone material, not cheap rubber or TPR material. We have sent our silicone lids to do FDA test by SGS and it's approved. Odor/Mildew/Stain/Resistant - Won't Rust/Crack/Chip. Safe for your family. ✔ SUITABLE for ALL SMOOTH SURFACES! - Plastic, Glass, Stainless steel, Melamine, and Ceramic. Creates an airtight, watertight, and spill proof seal for reheating and storing. ✔ ECO & BUDGET FRIENDLY- Great for reducing food waste by preserving leftovers in the refrigerator.Use again & again & quit use of wasteful aluminum & plastic wraps. Save money on aluminum foil and plastic wrap - Use these reusable lids to cover your bowls, pots and pans. If you have any questions about this product by Elegant Live, contact us by completing and submitting the form below. If you are looking for a specif part number, please include it with your message.